The Minimoog, Moog's original portable analog bass and lead monster, has been responsible for some of the funkiest basslines, wacked-out effects, and unmistakable leads that have ever been recorded. Here we look at how to create five classic Minimoog sounds that really show off the uniqueness of the synthesizer. They've all been heard countless times. 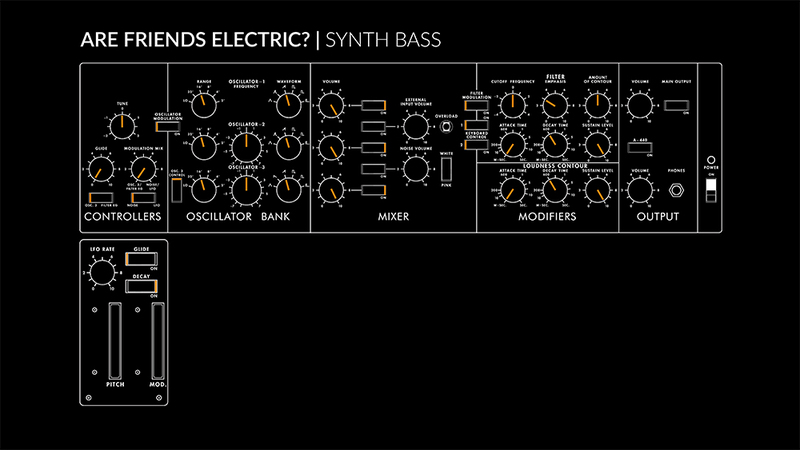 These patches can be realized on any analog synthesizer with the appropriate parts or any of the modern plugin emulations of the famed synth, but if you want to replicate these tones in all their glory, reach for a real Minimoog—either a vintage unit or a Model D Reissue. The uniqueness of the Minimoog sound can be attributed to several aspects of the circuitry, such as the not-quite-accurate waveforms, the harmonic distortion in the audio mixer, the famous warmth of the 24dB/octave transistor ladder filter, or the innovative ergonomics of the controls. The magic recipe comes together and produces a synthesizer that is greater than the sum of its parts. 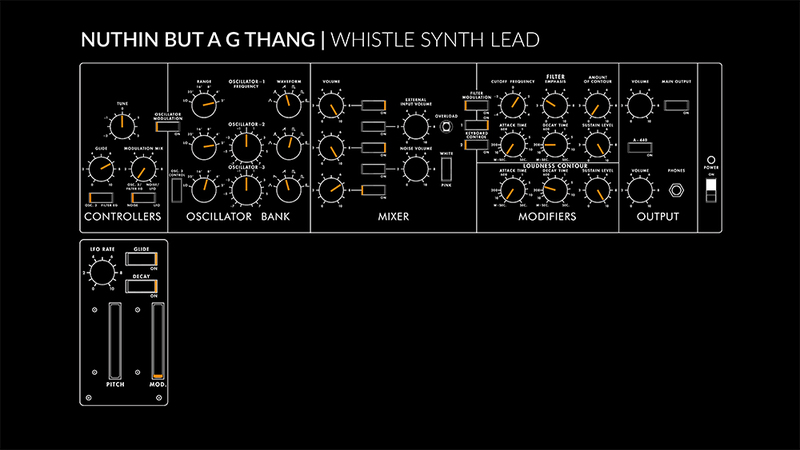 No two Minimoogs sound the same, but these patches will get you incredibly close to the following famous sounds. 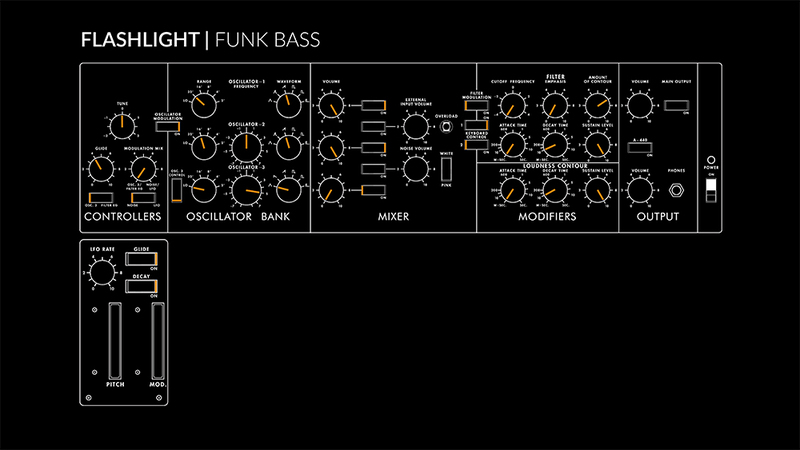 Possibly one of the funkiest Moog basslines ever recorded by one of the funkiest players of all time is the bass on Parliament's "Flash Light." Bernie Worrell's playing technique takes full advantage of the performative aspects of the Moog synthesizer and is a big part of the overall sound of the patch. Start with Oscillator 1 set to 32' and a sawtooth waveform. Oscillator 2 is set to 16', also with a sawtooth wave. The third oscillator is set up as an triangle LFO or modulator and has the keyboard control switched off, with Pitch at about +5. The envelopes are set with immediate attack times and very quick decay, with the filter Cutoff Frequency and Filter Emphasis set to 0. The Amount of Contour is what is used to open up the the filter with each note, giving a snappy response. The Glide function is set to "on," with a setting at around 4. Add a vibrato effect using Oscillator 3 as an LFO with the amount of modulation controlled by the mod wheel. You can play with the pitch of Oscillator 2 slightly to create some phasing between the waveforms, varying the thickness of the sound. You can also set Oscillator 1 to square for some slightly different harmonic character. Play around and season to taste. 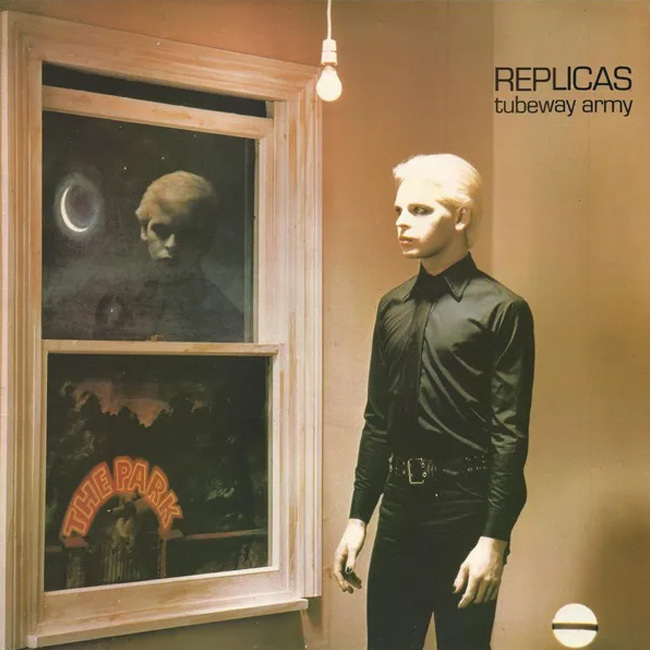 Polymoog and Minimoog are all over Gary Numan's Tubeway Army recordings. "Are Friends Electric?" 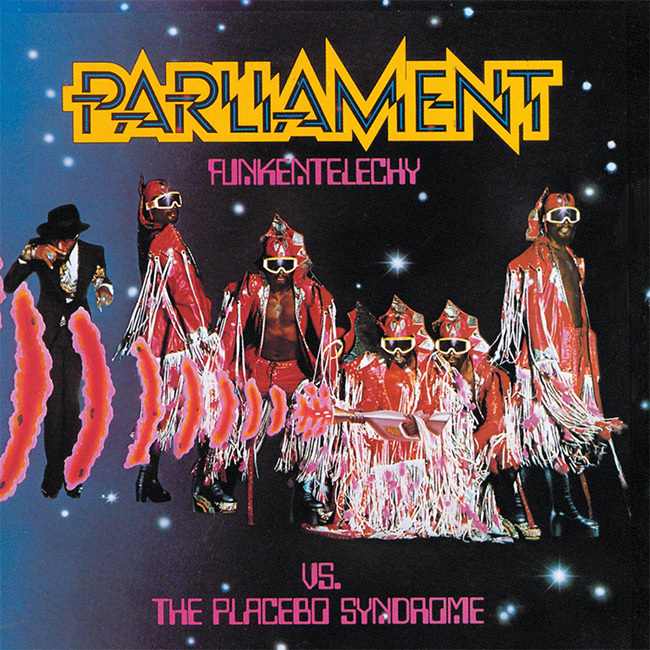 has at its heart a relatively simple and incredibly catchy bass melody played on a Minimoog. Numan went on to get a lot of mileage out Minimoog and Polymoog synths, and they helped to define his solo sound as well. Start with all three oscillators set to 16' length with sawtooth waves selected. The third oscillator may or may not have been used on the recording, but it can be utilized to thicken the sound if desired. Set the filter Cutoff Frequency to 0 with the Emphasis at 3 and the Contour to 5. Set both envelopes to a quick attack and 600ms decay, with the sustain all the way up. Turn the Glide off and the Decay on. Legendary producer Dr. Dre's use of the Minimoog is a staple of the West Coast sound. 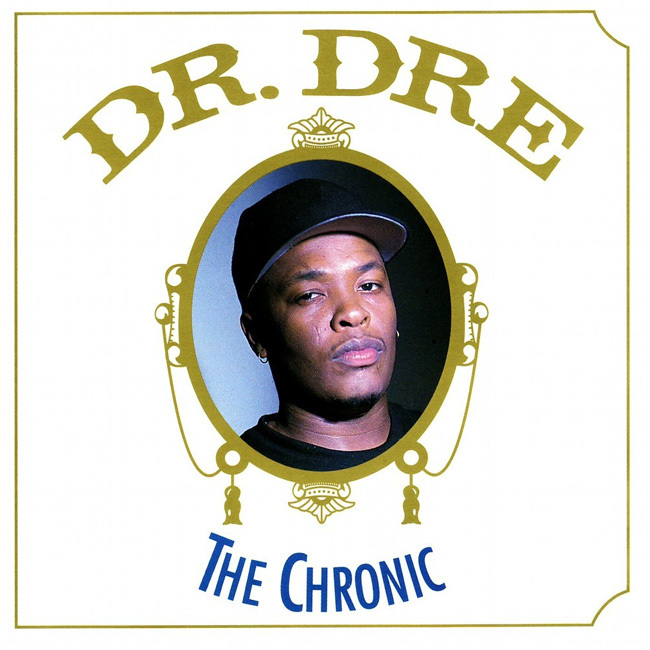 While the bass of the Mini had been used to great effect throughout the '70s and '80s, Dr. Dre's G-Funk Whistle is a distinctive squiggly lead heard on multiple Dre productions. Set Oscillator 1 to the 2' length and select the sawtooth waveform. Oscillator 2 is also set to the 2' length, but select the square wave and detune the frequency slightly. Oscillator 3 is set to the 8' length and saw wave with Osc. 3 Control on. In "Nuthin but a 'G' Thang," Dre brings up the volume of the third oscillator to around 7 for a fuller, lower octave sound. Set the Oscillator 1 and 2 volumes fully clockwise. Set the filter Cutoff Frequency to 1, Emphasis to 3, and Amount of Contour to 0. The first keyboard control switch is on, and the envelopes are set similarly, with a fast attack, decay around 200ms, and fully clockwise sustain. The rubberiness of the sound is created using the Glide function set at 5. The sound lends itself quite well to filter-tweaking while playing as well. Devo's Mark Mothersbaugh is a longtime Minimoog user. Its futuristic sound effects and leads fit perfectly with the band's new-wave sound. 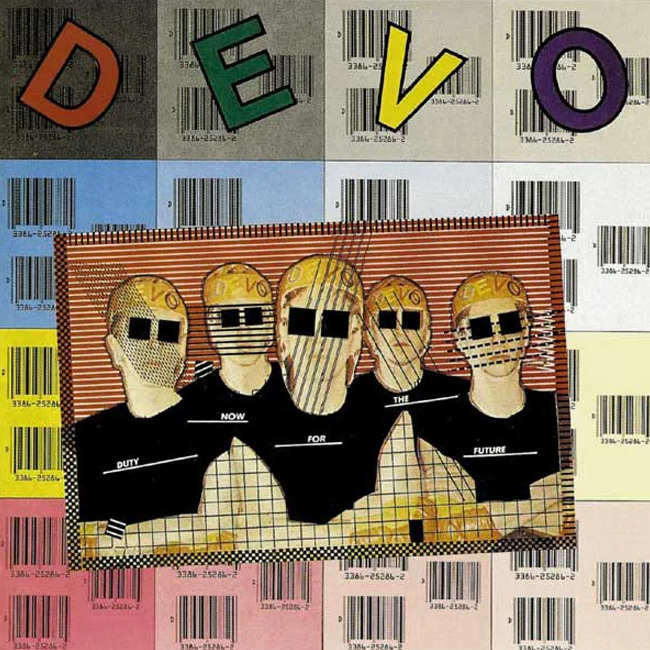 Mothersbaugh created the alien-sounding, pseudo-arpeggiated sound that opens "Smart Patrol/Mr. DNA" using a unique combination of glide and oscillator modulation with the ramp or sawtooth waveforms. Mothersbaugh even had Moog modify his Moog Voyager at some point to include these waveforms, as the stock model had only square and triangle available. Set Oscillator 1 to the 16' length and select the square waveform. Set Oscillator 2 also to the 16' length and square wave, but turn the frequency control to 7. Oscillator 3 is used as a modulation source with the Osc. 3 Control switch off and the frequency set to 5. For upward pitch sweeps, the Oscillator 3 waveform is set to the reverse saw. For downward, set it to the standard saw waveforms. Set the Oscillator Modulation switch on, or to the right. The sound at the very beginning of the song may have the Filter Modulation set on, but it is set off for the main arpeggiated sound. The Cutoff Frequency is set to 1, the Emphasis all the way counter-clockwise, and the Amount of Contour set to 5. Both contour generators are set to a fully counterclockwise attack, 600ms decay, and fully clockwise sustain. Set Glide on, with a value at 8. 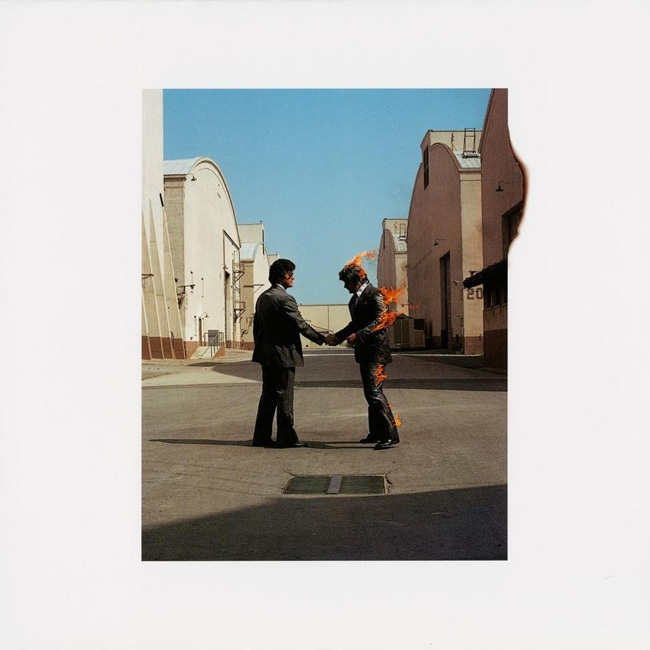 Pink Floyd keyboardist Rick Wright used several classic synths on the various parts of the classic "Shine On You Crazy Diamond," including an Arp Solina string synth and. EMS Synthi VCS3. Of course, the Minimoog featured particularly in his solo at the end of Part III. 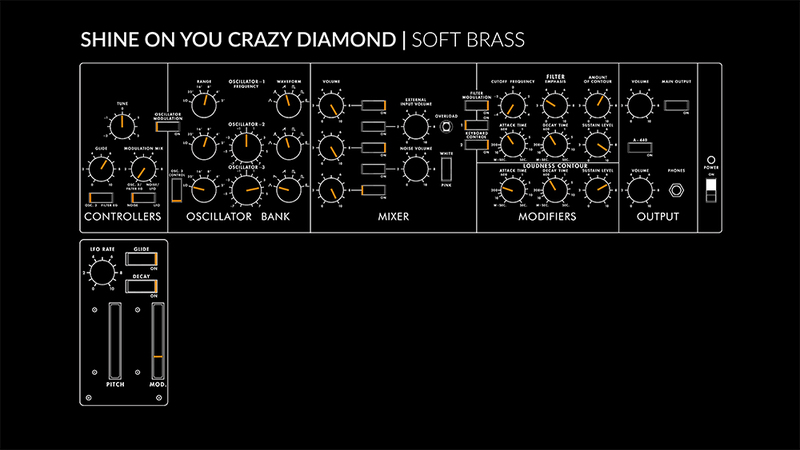 This iconic soft brass sound owes a lot of its character to the way the contour generators, or envelopes, are used to control the filter and VCA. Start by setting Oscillator 1 to the 8' length with a saw wave selected. Wright likely used only one oscillator for this sound, but Oscillator 2 can be set to the same settings and used to thicken things up a bit if desired. The Filter Cutoff and Emphasis are set all the way to the left, while the Amount of Contour is set to 6, allowing for the slower attack of the filter contour generator to open up the filter with each note. Turn on Filter Modulation, as well as the second Keyboard Control filter switch, so that higher notes have filter settings that are slightly wider open. Set the filter contour attack to 600ms, with decay set to 400ms, and the sustain up around 9. The Loudness Contour, or VCA contour generator, has a slightly faster attack at 250ms, with a decay time at 1 second, and sustain level set to 7. Glide and decay switches are on and the glide value is set to 6. Finally, use the third oscillator as an LFO with the Osc. 3 Control in the off position, frequency at 4, and sine wave selected. The mod wheel is used to engage the LFO in modulating the filter, emulating the tremolo of a horn for accents.